Jaime Vieira dos Santos, president of Leixões Port Community, has publicly criticised the way the SEAL trade union has undertaken its recent struggles with port management. Speaking at the Portuguese Logistics Association’s ‘Shipping and Ports’ seminar, he noted that unions have persistently tried to close down ports and that their way of conducting business reflected a “medieval world of port work”. 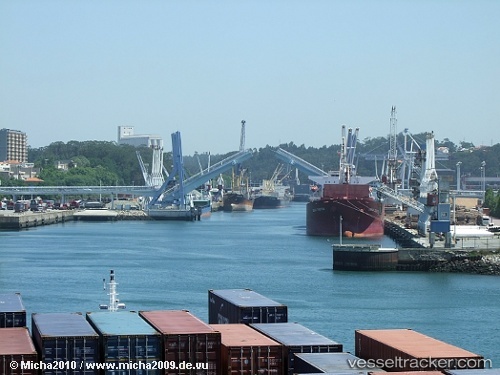 Portuguese stevedoring unions are planning to stage a 24-hour strike on September 20, bringing the port operations in Leixoes and Lisbon to a halt. The strike period had started on September 10, and will last for a month, ending on October 8. However, the strike is only in force for the extra time periods except for the planned one-day stoppage planned for Thursday. Shipping companies are already feeling the impact and have announced measures. “This strike will unfortunately affect the normal activities in the ports of Leixoes and Lisbon, mainly vessel’s arrivals and departures. The Port of Leixoes, outside Porto in Portugal’s north, is to receive 510 million euros (630 million U.S. dollars)of investment, Portugal’s Minister for the Sea, Ana Paula Vitorino, announced. “The Leixoes Terminal is one of the top ports in the national system,” said Vitorino, “and is rightly, therefore, one of the ports where we make the biggest investment.” Besides building a new terminal, there are plans to extend the breakwater and deepen the access channel and turning basin. Some of these projects are already underway and ought to be finished by 2021. Others are at the engineering study stage or awaiting environmental impact assessments. The whole project should be completed by 2026.